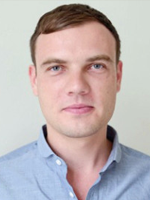 Helge is a postdoctoral researcher in the CAMELLIA project where he conducts social science research and community modelling on urban water in London. His doctoral work in geography at the University of Oxford comprised an ethnographic study of agent-based modelling in environmental science. Before joining Oxford as a Clarendon scholar, Helge earned a postgraduate degree in media and communications from Goldsmiths, University of London and an undergraduate degree in communications from the Berlin University of the Arts. His research interests encompass the qualitative and ethnographic study of the socio-technical mediation of human-environment relations with a particular focus on computer modelling and digitalisation.